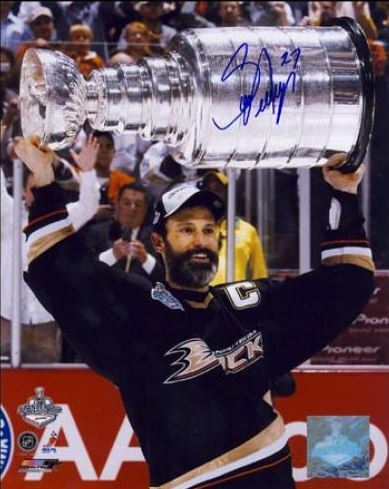 One of the greatest leaders and champions of his generation, Scott Niedermayer cards and autographed memorabilia remain popular with hockey collectors. He played for 18 seasons in the NHL, hoisting the Stanley Cup four times. A five-time All-Star, Niedermayer also won both the Conn Smythe Trophy for playoff MVP and Norris Trophy as the league's top defenseman. 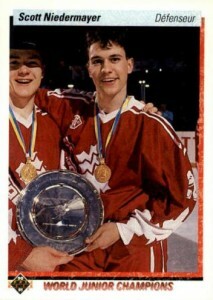 Niedermayer has two rookie cards, 1990-91 Upper Deck and 1990-91 Upper Deck French Hockey. His first certified autograph card comes from the 1991 Arena Draft Picks Set. It is not serial numbered. A French version of the card was also produced. One of his first NHL autograph cards can be found in 1994-95 Be A Player. It has a print run of 2,400 but is not serial numbered. 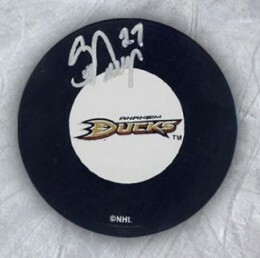 In 2000-01, both Pacific and Be A Player issued game-used memorabilia cards of Scott Niedermayer in multiple products. One of the more popular is his 2000-01 Be A Player Signature Series card. The dual-memorabilia card features a swatch of jersey and stick. It is serial numbered to 100 copies. 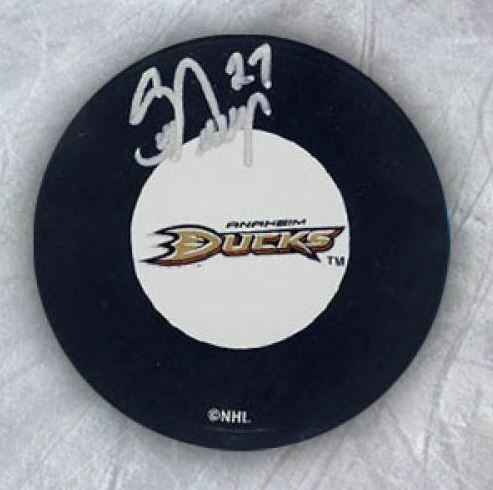 Scott Niedermayer's autographed memorabilia is highly collectible. This is particularly true for fans and collectors of the two teams he played for during his career, the New Jersey Devils and the Anaheim Ducks. Niche collectors who pursue multiple signed pieces from Conn Smythe and Norris Trophy winners also see him as a must-have signature. It's unfortunate that there are so many of these cards in existence that you can purchase a rookie card of a Stanley Cup Champion and Hall of Famer for $1. 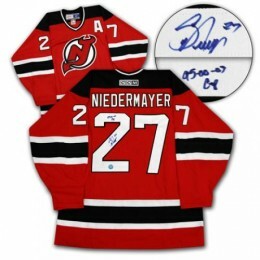 Niedermayer came into the league as a winner. 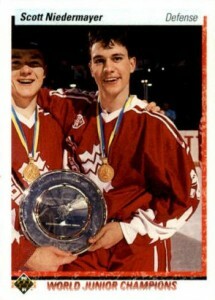 He is pictured on his rookie card having just won the prestigious World Junior Championships with Team Canada. Once thought to be somewhat more rare than the English version, this caused an initial spike in prices. When it turned out the cards were alleged to have been reprinted and not so rare, values plummeted. The card design is identical to the regular version but text is in French. 2012-13 UPPER DECK THE CUP SCOTT NIEDERMAYER 3 COLOR LETTER PATCH "N" 01 11!! 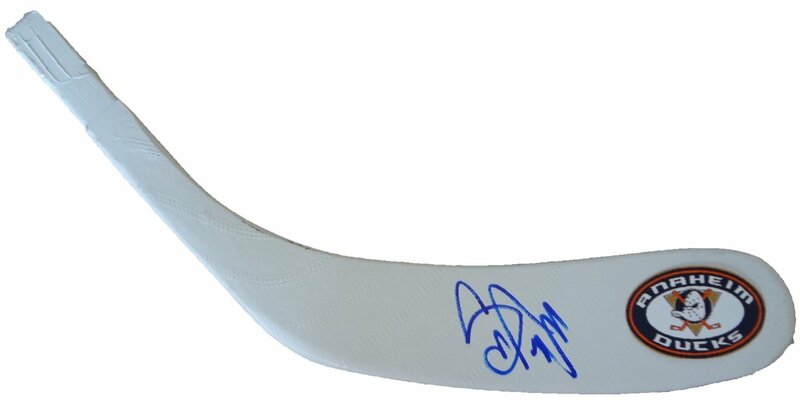 Below you will find an example of what Scott Niedermayer's authentic signature looks like. This can be used as a first point of reference for determining the legitimacy of autograph memorabilia, but is not a substitute for having your items authenticated by a well-respected professional autograph authentication company. Some of the trusted sources within the sports memorabilia market include the following companies: PSA, JSA, Tristar, and Mounted Memories. Click on any of the images below to view full size photos. The signature is largely indecipherable and is written on an upward angle. The initials "S" and "N" dominate the autograph and are legible. The remaining letters in the last name are not legible. He often inscribes his jersey number "27." SCOTT NIEDERMAYER 1991-2 O Pee Chee RC SIGNED AUTO AUTOGRAPH #35 Devils Rookie !